Free, fully-featured IDE for students, open-source and individual developers! 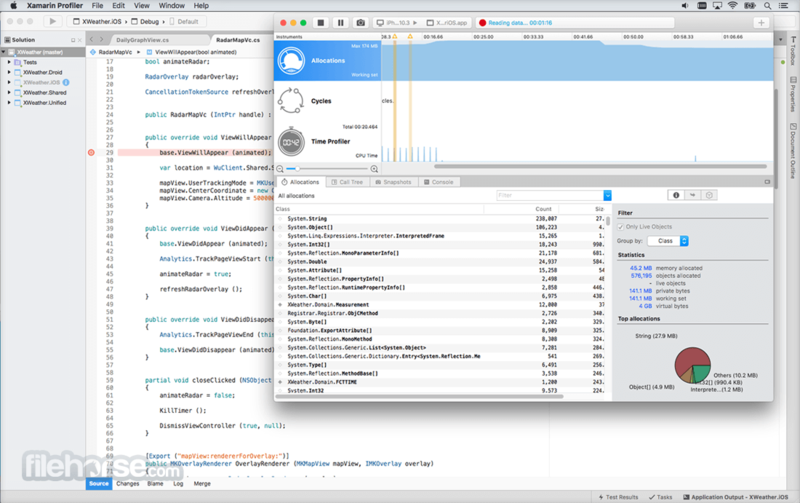 Visual Studio Community for Mac is a full-featured and free IDE for creating modern applications for Android, iOS, macOS, as well as web applications and cloud services. 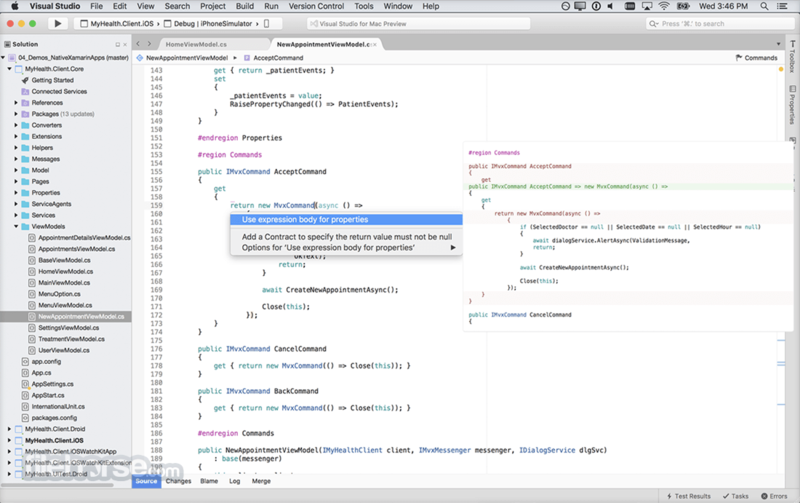 Try out Visual Studio Community for Mac for a fully-featured and extensible IDE; An updated alternative to Visual Studio Express. Manage your source code in Git repos hosted by any provider, including GitHub. 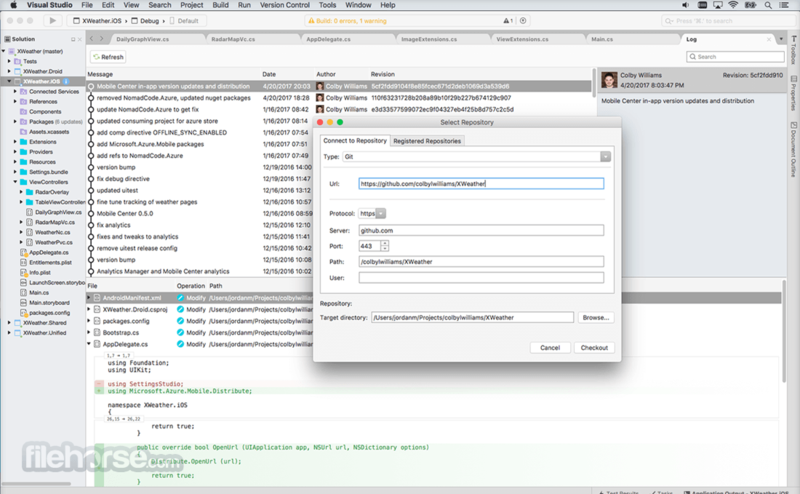 Or use Visual Studio Team Services to manage code alongside bugs and work items for your whole project. When you sign into Visual Studio Community for Mac, you get access to a broad set of free developer tools, selected Xamarin University courses on-demand, Pluralsight training, Azure credits, and more as part of Visual Studio Dev Essentials. 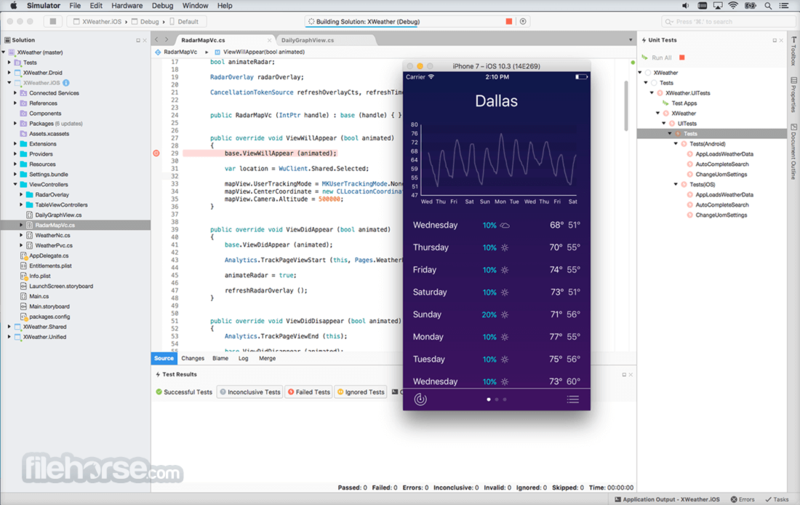 Develop for WPF, WinForms, ASP.NET, Universal Windows Platform, Win32, Android, iOS, macOS and many more platforms all from one IDE with everything you need. Note: Cannot be used in an enterprise environment. Limited functionality in demo version.